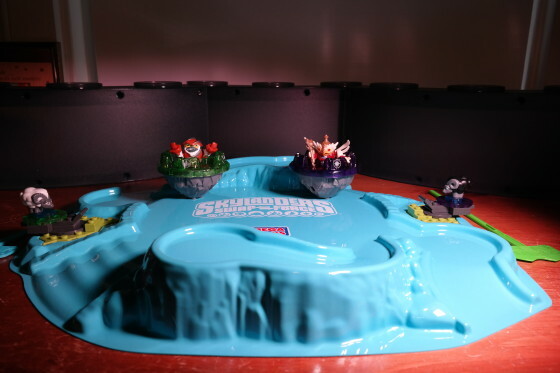 I received the MEGA Bloks Skylanders Swap Force Frost Guard Battle Arcade to assemble, play with and review. Opinions are 100% my own. 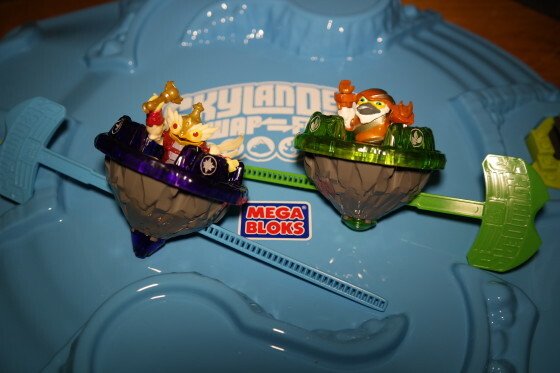 With the MEGA Bloks Skylanders Giants sets there was a set of battle play toys, the Battle Portals. There are still battle portals being released for play in the Ultimate Battle Arcade. 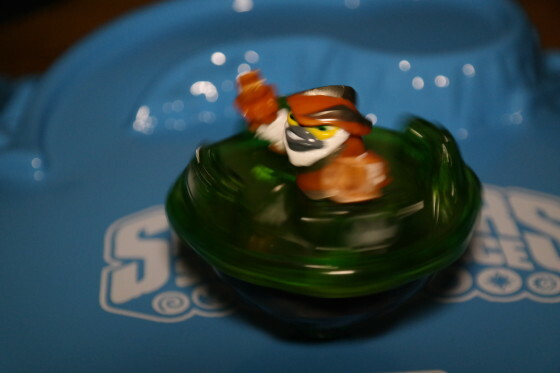 Now with the release of Skylanders Swap Force there is a whole new way to battle. Battle takes place in the Frost Guard Battle Arcade. The Swap Force characters take center stage using spinning tops. This new battle play system works with the swap force characters because those are the characters that split in the middle so that they can swap. Only the top part of the character is needed for the battling tops. The set comes with Grilla Drilla and Hoot Loop. There are two tops in the set, one for a Magic element character is translucent purple and has the magic symbol. The other is for the Life element character and that is translucent green with the Life symbol. 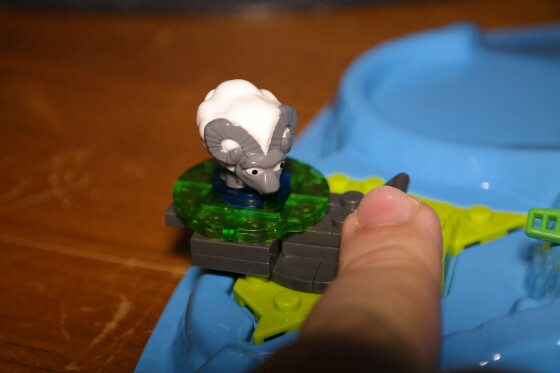 In addition to the Swap Force characters there are also two sheep that you can fling at the spinning characters. There is a black sheep and a white sheep. 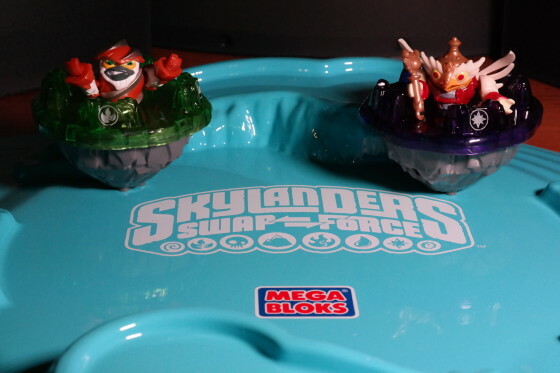 MEGA Bloks gets Swap Force right because they have made it super simple to swap characters. I put together Hoot Drilla and Grilla Loop with the characters that were in the set. 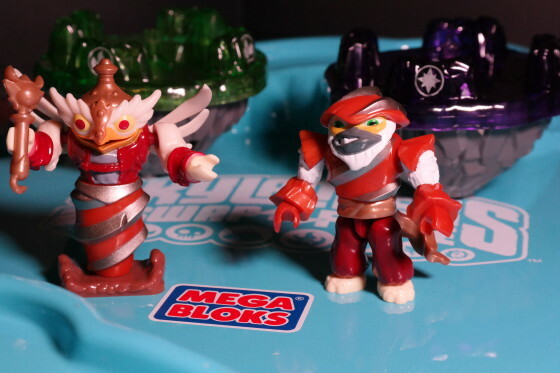 These characters also work with all the other Swap Force characters from MEGA Bloks. The set is a nice one. The spinning tops are well balanced and they spin for a long time. The rip cord that you use to make the tops spin can also be used to maneuver the figure around the battle board. The board could be bigger and I think it should have included pegs to secure the sheep flinging sections. The sheep flinging portions should be secured because they easily slide off when you fling the sheep. I also think that the battle board should be a little bit bigger. It seems pretty easy for the tops to go right off the board even before you try to maneuver them. Overall the set is fun and I enjoy playing with the tops. I am looking forward to more characters being released on this battle play platform.